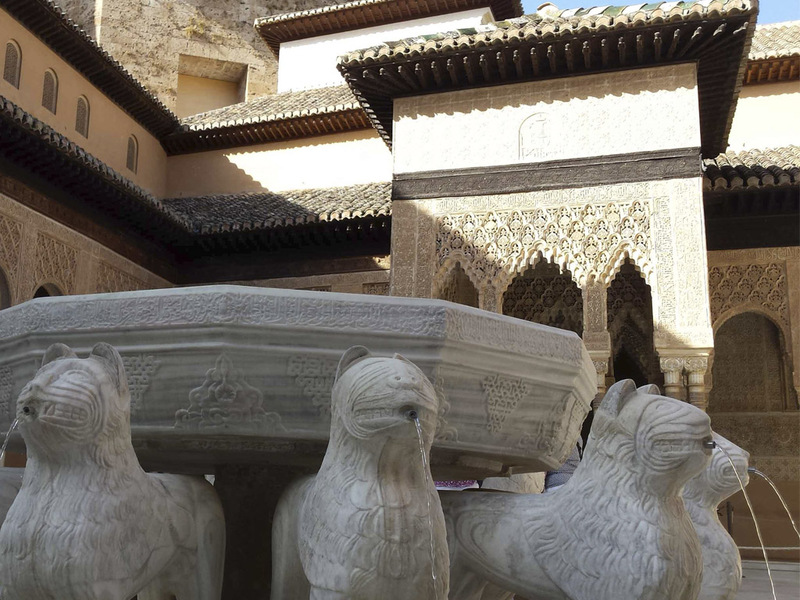 Legend of the court of lions of the Alhambra in Granada. Reservations and management guided tours and online visits. They say that long ago, an Arab princess came to the Moorish kingdom of Granada with his father and he guards to stay during a season in Alhambra. Zaira was a beautiful girl with big dark eyes, vivid look of great intelligence and sensitivity. But his father was the opposite: Evil, sullen, moody and even cruel. Never allowed the princess left the palace to keep an eye on and under control, something that Zaira willingly accepted from the beginning, and soon fell in love with the palaces and gardens, the Alhambra placed at his feet. Suddenly one afternoon, a guy jumped the wall to the surprise of the princess who at that time was resting in the shade. Arturo, such was the young Christian, declared his having been long hours watching from rooftops love. Zaira could only surrender to the boldness and courage of the boy, who was playing life if they were caught. Zaira made him promise that he would leave soon, as his father would soon appear with 11 royal guards, so the boy nodded and promised to return the next day. He kept his word Arthur, with such bad luck that in their flight, one of the royal guards discovered their presence. As soon as the king was informed, he was in prison waiting to be executed the next morning. After the sad news, Princess Zaira did not stop mourn, so the halls of the palaces hours before seemed paradise, were now little more than a living hell where her beloved come to an end very soon. "I have killed the king and the queen. Princess I have pity. Now I'm the king and she will never know the truth, and though I possess all the power of the kingdom, his talisman hides a terrible curse created by her mother knows I hope never to use. " Seeing that, Zaira not believe I could be, so he called together the king and his guards in the courtyard of the palace of Muhammad V to ask for explanations hitherto believed was her father. This, without thinking twice, and seeing his clothing you against such accusations guards, told him the truth: "Indeed I am not your father." Zaira's eyes filled with tears of bitterness and anger at this revelation. Tightly clutching the talisman that hung from his neck since he was a baby, the fury of a lion through his body and activated the curse that the gift from his mother kept, making the king and his eleven guards in twelve stone lions still They continue to bear the weight of the central source of the palace of the king of Granada. Zaira freed Arturo from his chains, fled the city and lived happily for the rest of their lives. 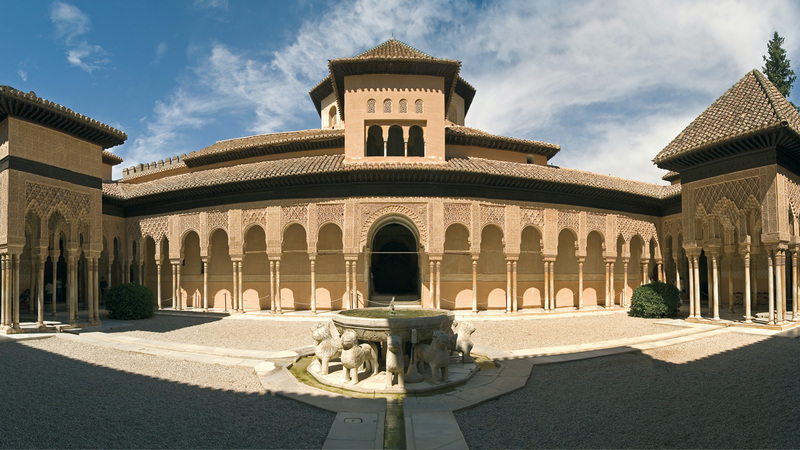 Since then this courtyard of the Alhambra is called The Court of the Lions (El Patio de los Leones). "Granada excited to undo and melt all the senses." Henri Matisse.